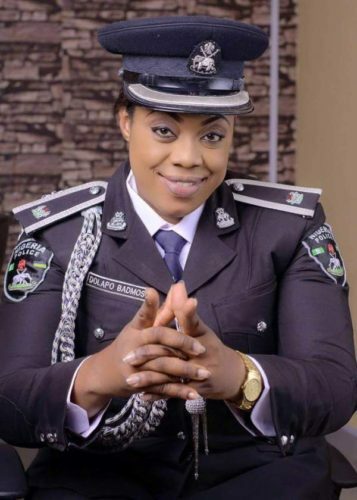 Ifedolapo Badmus, a Chief Superintendent of Police and Police Public Relations Officer, Zone 2, has opened up on the outcry against SARS revealing the outcry is overhyped on socialmedia. While reacting to the alarming number of SARS brutalisation reports, in a recent interview with Vanguard, she said: “We are aware that bad news sales faster than good news. People have been feigning SARS attack on the social media. I am a Zonal Public Relations Officer of the Force and I have noticed that people deforms information even when there is no confrontation at all. Most people somehow, do this to seek relevance on the social media. Even some celebrities are doing it. The issue has spiraled to the other members of the Police Force: when a normal Policeman did anything uncalled for, they tag it SARS. This kind of act is sending a negative picture to the international community about Nigerian Police. We don’t have any other country other than Nigeria, and whatever we do reflects on us a people. The negative effects rub off on us too as Policemen. When we are outside the country, they see us as corrupt officers due to social media postings. I have spoken to stakeholders in this #Endsars# campaign group, advising them that there are ways and manners the goal can be achieved without using social media platform to escalate the issue. This to inform the general public that individuals can order Dan-gote3xCement directly from the factory at a promo price of 1300 Naira per bag and Rice for 10,000 naira per bag. Transportation and offloading is 300 Naira,minimum for purchase is from 100 bags and above. kindly contact marketing /sales manager ON 07036494859 OTUNBO B WILLIAMS for booking and delivery. Note delivery takes two days and it’s nationwide.When Strength matters,Choose 3X. 2018 NATION WIDE AUCTIONING IS CURRENTLY ON GOING NOW. BAGS OF RICE AND VEGETABLE OIL FOR SALE IN A CHEAP and AFFORDABLE PRICE. GALLON OF VEGETABLE OIL – #5,500 25lit. THE NIGERIA CUSTOM RECRUITMENT FORM AND REPLACEMENT FORM ARE ALSO AVAILABLE FOR SALE. NOTICE: THE PRICE OF THOSE VEHICLES DEPEND ON THEIR YEAR MODEL, WE SALE AND DELIVERING VEHICLES TO ALL THE 36 STATE IN NIGERIA AND THE AUCTION TAKE PLACE AT CUSTOM BARRACK. No doubt this is true but you guys should do something to help those that are really attacked. TWINKAS STILL PAY FOR REAL..
kindly give a call to the administration MR INNOCENT (07037595539).